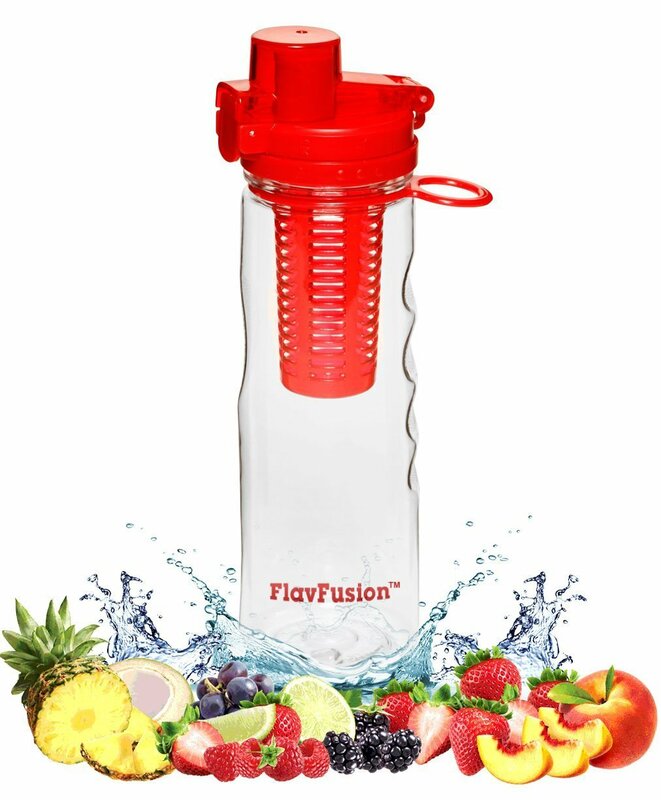 FlavFusion (TM) 25 oz Infuser Water Bottle with Flip Top Lid That Locks - Leak Proof. Makes Fresh and Delicious Natural Fruit Flavored Beverages - Just Add your Favorite Fruit or Veggies - BPA & Lead Free. I have never really liked water. I'm not sure if it's because I was never told to drink it growing up or I never saw my parents or siblings drink it. It has to be some really good tasting water for me to drink it. Like well water for instance. Most times when I do drink it, I always splash in some sort of flavored liquid. Seeing that I could put fresh fruit in this bottle and it not disturb my water, I just knew I had to take a chance and try this out. I decided the fruit I would most likely enjoy best was strawberries. I cut them up and placed them inside the cylinder piece, added my water and let it sit for a little bit. Once it was time to try it out, I was very pleased. It tasted so good and the flavor just kept me wanting to come back for more. I can't wait to try out other various fruits like watermelon, grapes and hey, even kiwi. Definitely a great product.